THERE’S A NEW REALITY: stakeholder expectations regarding corporate responsibility are heightened for automotive, heavy industry and technology companies, and their supply chains. This 2-day event is tailored to those working on sustainability and responsible supply chain management. Day 1 is dedicated to current issues, and Day 2 to emerging issues, with a wide array of corporate responsibility topics each morning. 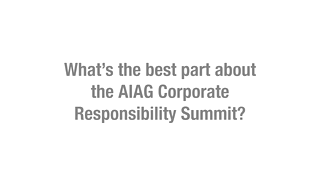 Don’t miss this opportunity to join your peers to develop relationships and inspire innovations while industry leaders equip you to navigate the complex issues facing Corporate Responsibility in 2014! NGO and Student rates available. Call Customer Service at 248-358-3003 for details. Why Do We Use IMDS? How Will It Impact You?